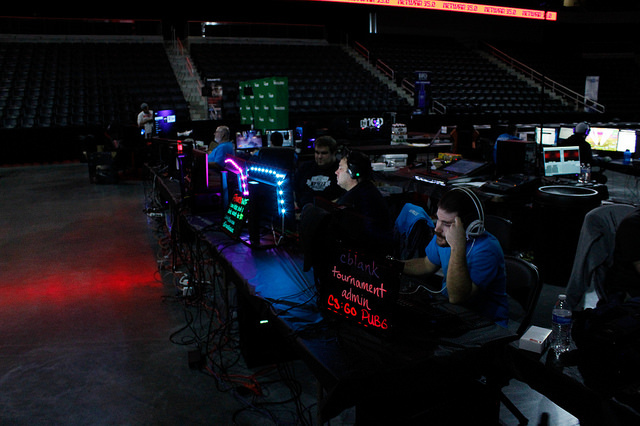 NETWAR 36.0: The LAN you don’t want to miss. 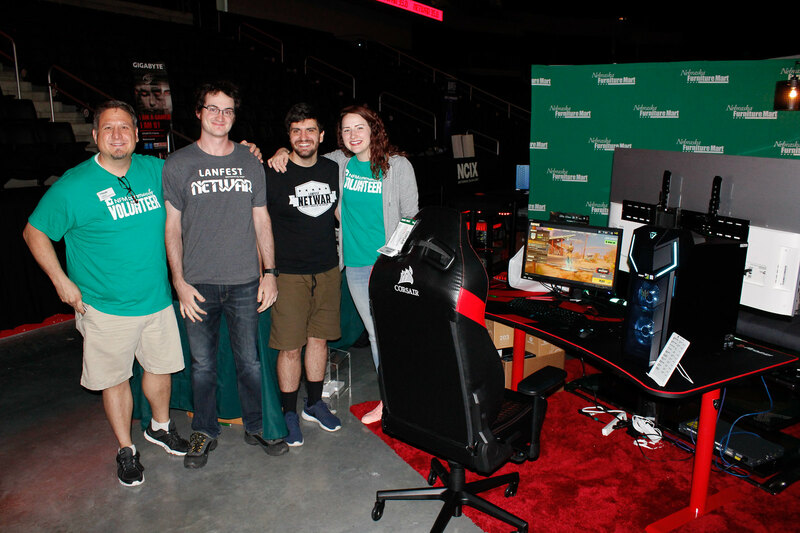 We are proud to announce Nebraska Furniture Mart as a Diamond Sponsor for NETWAR 36.0! They had an awesome setup at NETWAR 35.0 and gave away some great gear. For NETWAR 36.0, they will have a full booth with demo gaming setups, raffle off some incredible prizes, and give out a NETWAR exclusive discount code. Thank you Nebraska Furniture Mart! Huge NFM discount for NETWAR 36.0 attendees! Nebraska Furniture Mart is graciously giving all NETWAR 36.0 attendees an exclusive discount for use in-store or online! The coupon codes are valid from April 13th-27th, 2019, limit one coupon per attendee. Printed coupons will be available at the NFM booth. See a Nebraska Furniture Mart sales professional for complete details. on any PC Gaming Accessory. 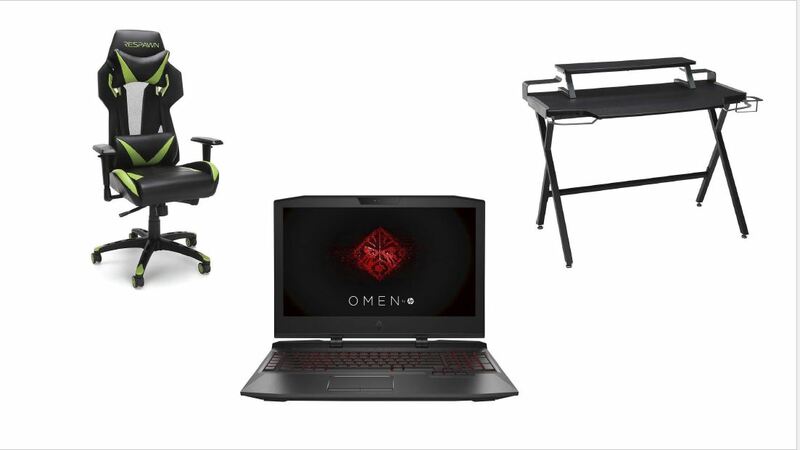 of any HP Omen Gaming Computer. Winners of the NFM giveaway at NETWAR 35.0. 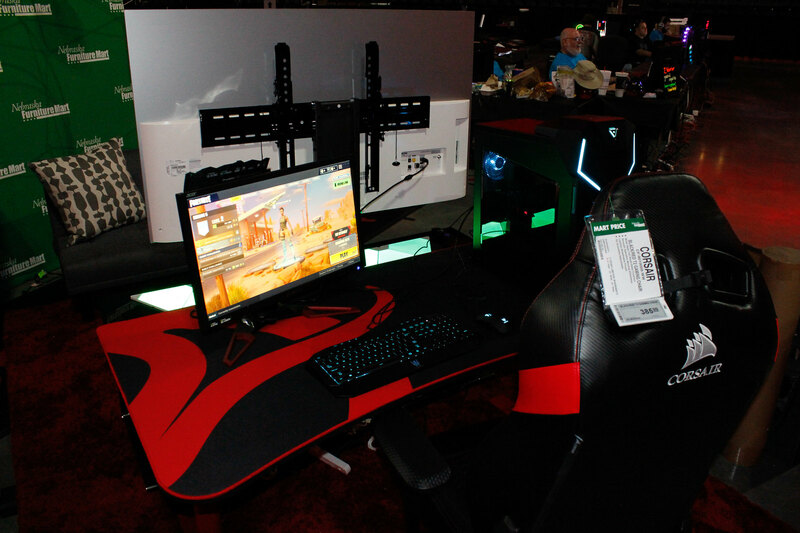 The NFM booth at NETWAR 35.0 featured a full gaming setup showcasing their gear available in-store and online. 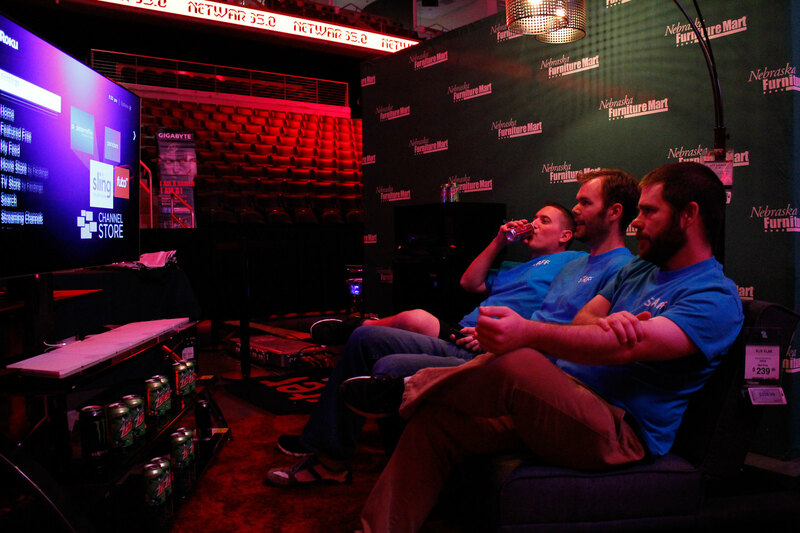 NETWAR staffers take a break and enjoy the lounge featuring NFM products. Nebraska Furniture Mart is the largest home furnishing store in North America selling Furniture, Flooring, Appliances, and Electronics. NFM was founded in 1937 by Mrs. B (Rose Blumkin) in Omaha, Nebraska. NFM is a subsidiary of Berkshire Hathaway and has four locations Omaha, NE, Kansas City, KS, The Colony, TX and Des Moines, IA. 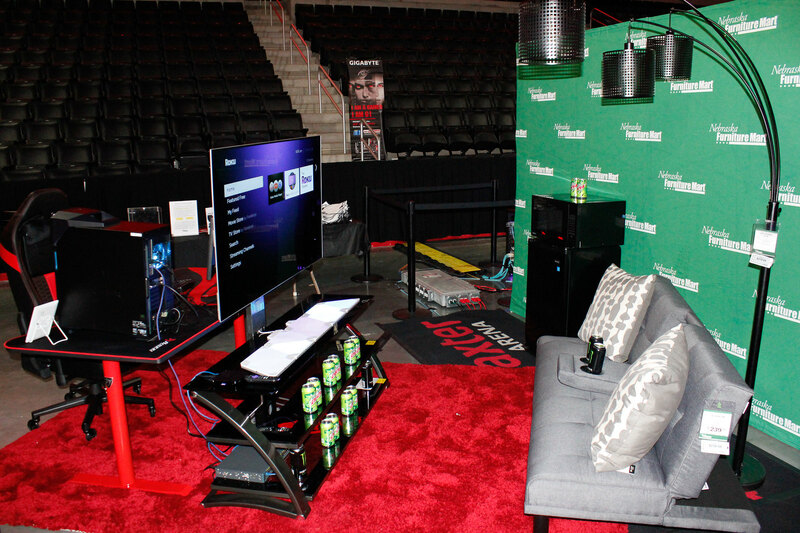 Nebraska Furniture Mart is giving away FOUR awesome gaming packages at NETWAR 36.0! They will be demoing the two setups listed below and then giving them away during the NETWAR 36.0 raffle. 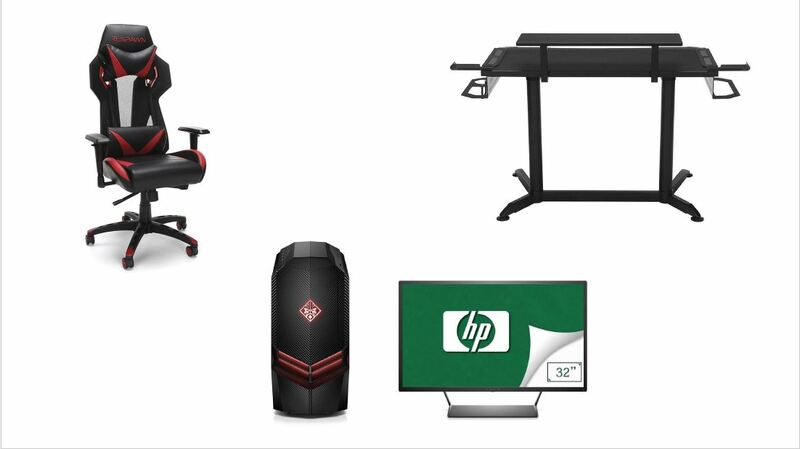 The prizes will be split into two gaming desk and gaming chair prizes, the HP Omen gaming laptop, and the HP Omen gaming desktop + monitor. You can enter to win these prizes by signing up at the NFM booth!